Haboob, formerly Jazz Telephone, plays original music-music that elicits feelings of ennui and hubris. 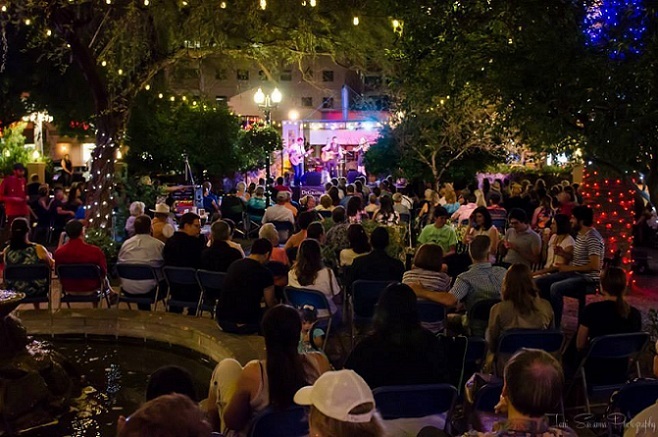 Sax, organ, bass and drums provide a resonate palette with which to paint a vast and visceral landscape of love and hope, at the 2019 Jazz Concert Series at Main Gate Square. 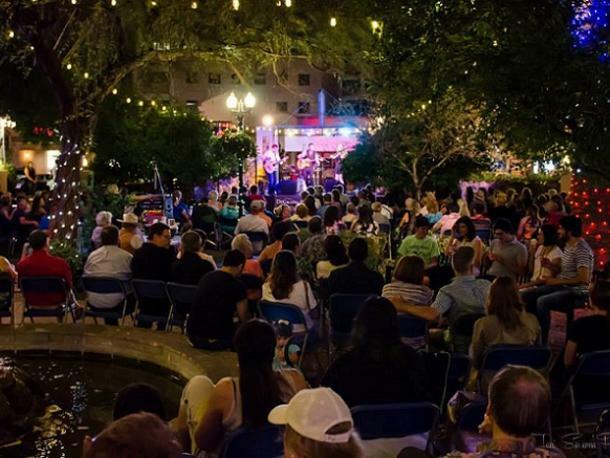 Come early for great shopping and dinner and stay for the amazing sounds in the beautiful outdoor venue, Geronimo Plaza. Parking is free in the Tyndall Garage after 5pm with Main Gate merchant validation or validation at the concert. If there is a gate attendant working the entrance to the garage, please ask for a spitter ticket because you will be attending Main Gate Square. Brought to you by Main Gate Square, KXCI Community Radio, and Jonas Hunter Productions.